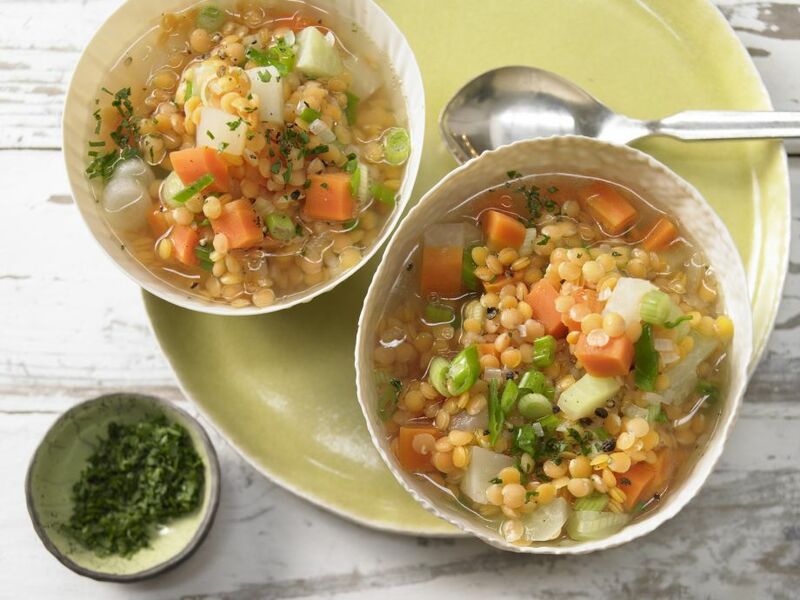 Vegetable Stew - Satisfying lentils: This vegetable stew helps keep you in shape! 1 Rinse carrots, peel and trim. Trim kohlrabi and peel. Cut both into small cubes. 2 Trim scallions, rinse and cut into rings. 3 Heat oil in a pot and fry all the vegetables in it for about 4 minutes. 4 Pour in 100 ml (approximately 1/4 cup plus 2 tablespoons) of water. Stir in lentils and bring to a boil. Cook for about 10 minutes. Then add the broth and season with salt and pepper. 5 Rinse the parsley, shake dry, pluck off the leaves and chop with a large knife. Season to taste with vinegar, sprinkle with parsley and serve.